Managed to mount my trusty steed and having loaded up the carbs at breakfast we needed every last one of them to get up the first hill – a real stinker from the hotel up to the village of Bettyhill. 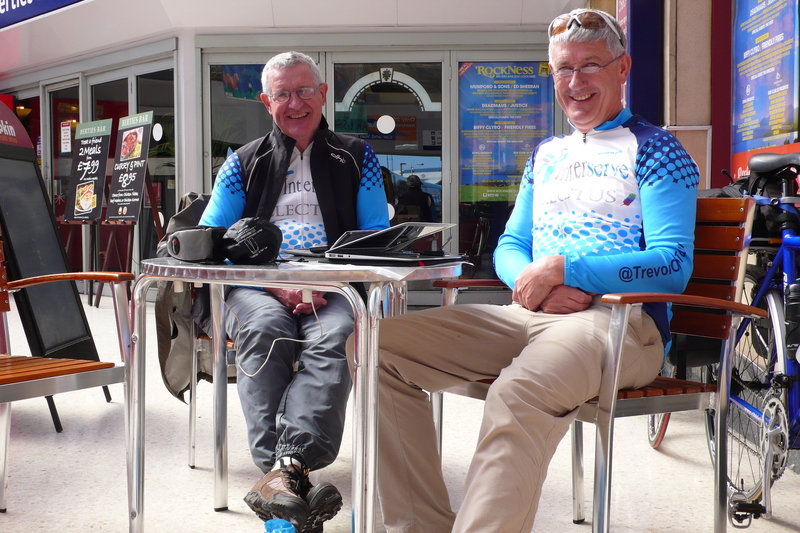 Thereafter we had a super 25 mile spin up the Strath Naver valley, with a well timed coffee break in the Gillies bar at the Altnaharra Hotel. 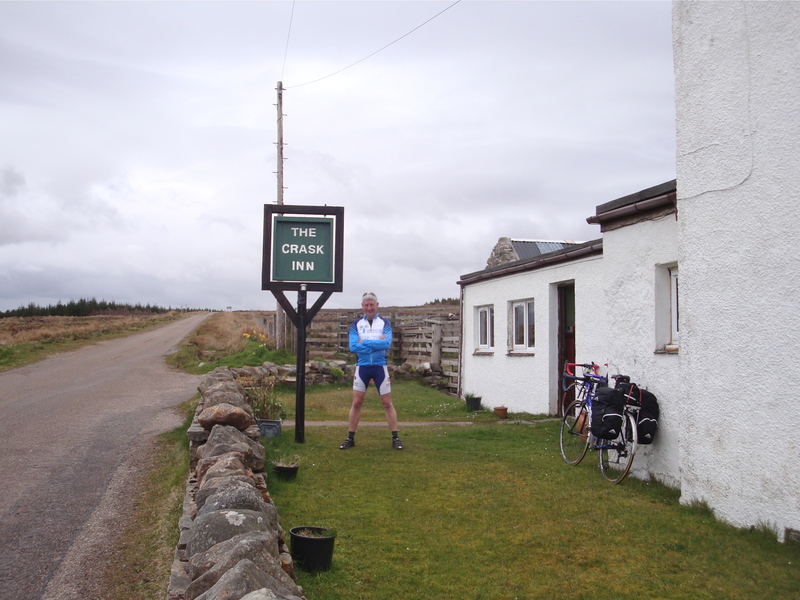 After which, a stretching uphill section to our lunch stop at the elevated and isolated Crask Inn – see profile below! 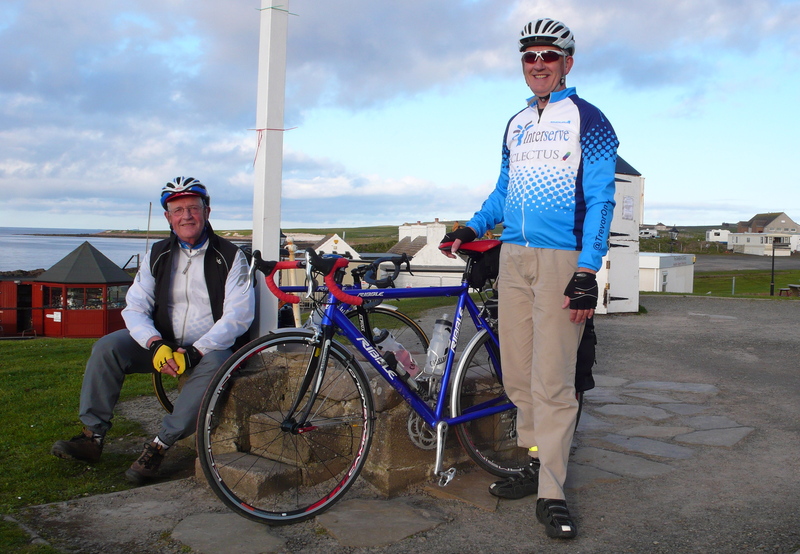 Met a lovely local couple in the bar who gave us a donation on the spot – how kind was that? 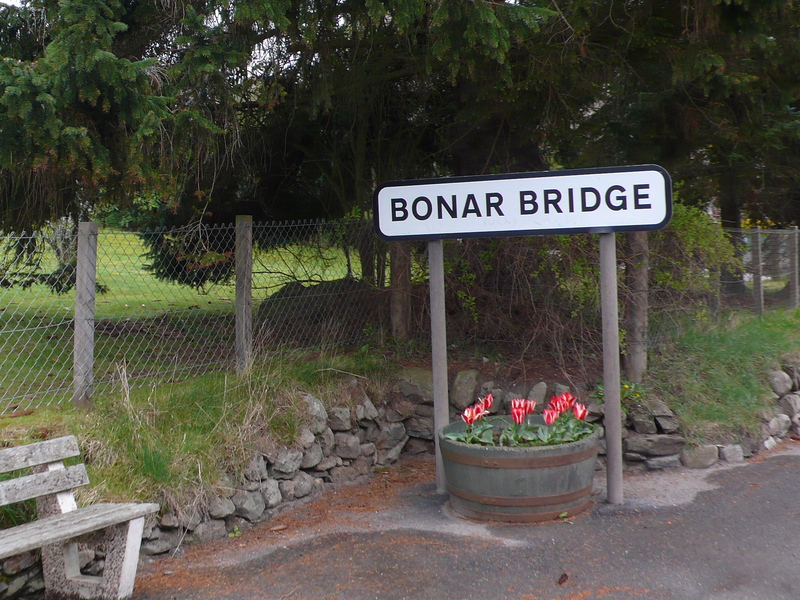 With the rain holding off, a 14 mile descent, albeit into an increasing head wind, to Lairg and then on to our final destination of Bonar Bridge. On balance, what I feared would be a difficult day, turned out to be a manageable and enjoyable challenge – the only low point was being involved in an altercation with an RV which wouldn’t budge from the middle of a single track road, resulting in him hitting my elbow with his wing-mirror. Bruised but not battered, it could have been worse! 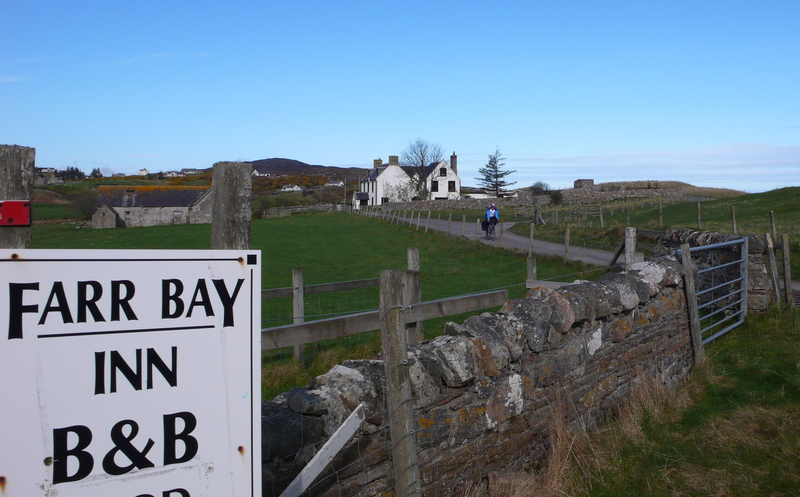 Bry leaving the Farr Bay Inn on a full breakfast…little does he know what’s ahead! 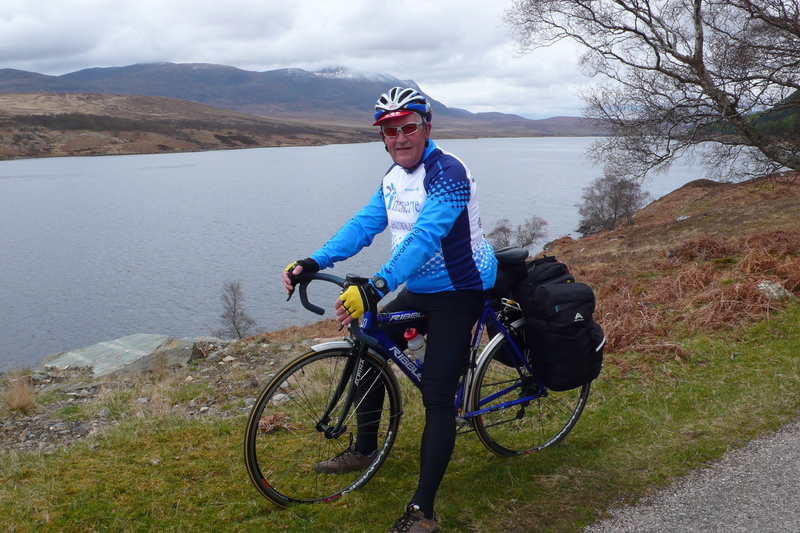 A breather by the shores of Loch Naver – note the snowy peak in the background! 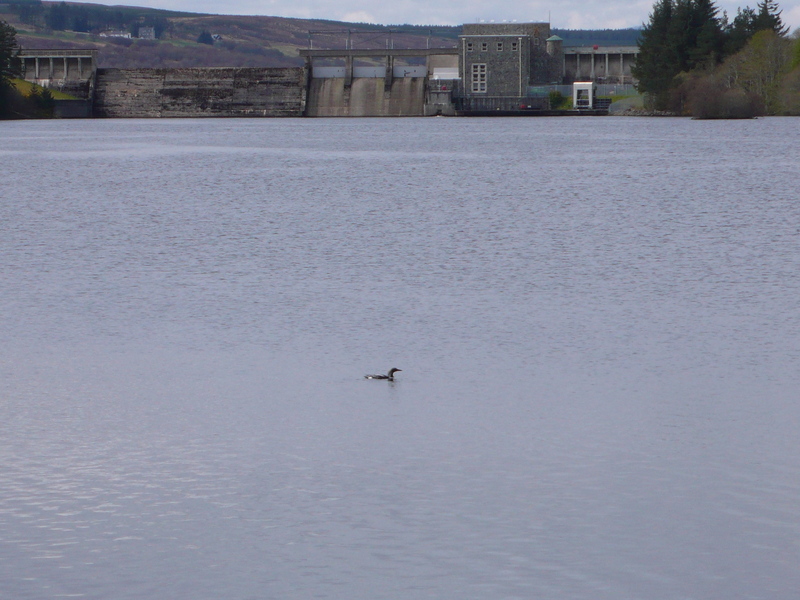 A brief mechanical stop at Lairg and on the loch opposite….a Black-throated Diver! Our destination – after a 90+k ride. On the birding front, the species total has now moved up to 63. The highlights of which were a couple of Merlin, Fieldfare, Greenshank, 3 Cuckoo, Dipper, Siskin, Goosander and numerous Common Sandpiper on Strath Naver and on the estuary at Bonar Bridge a solitary Black-tailed Godwit. 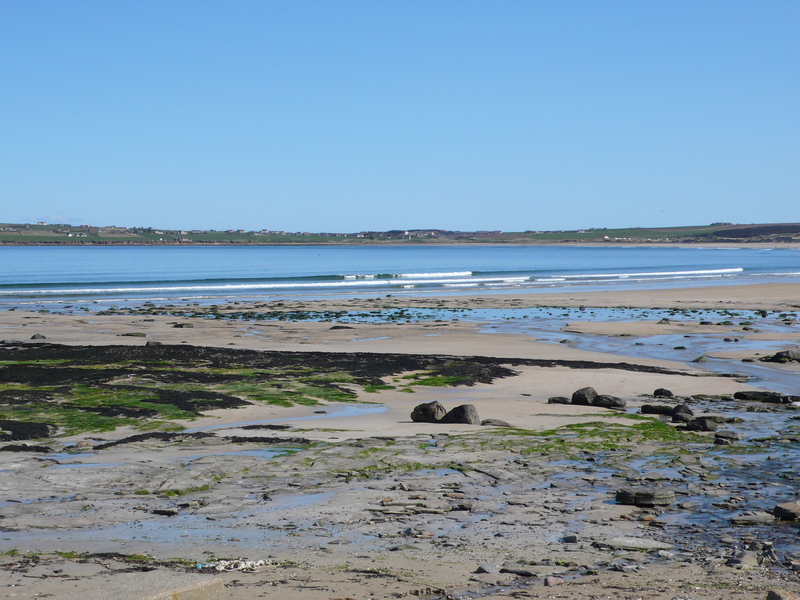 There’ll be more blogging over breakfast….. 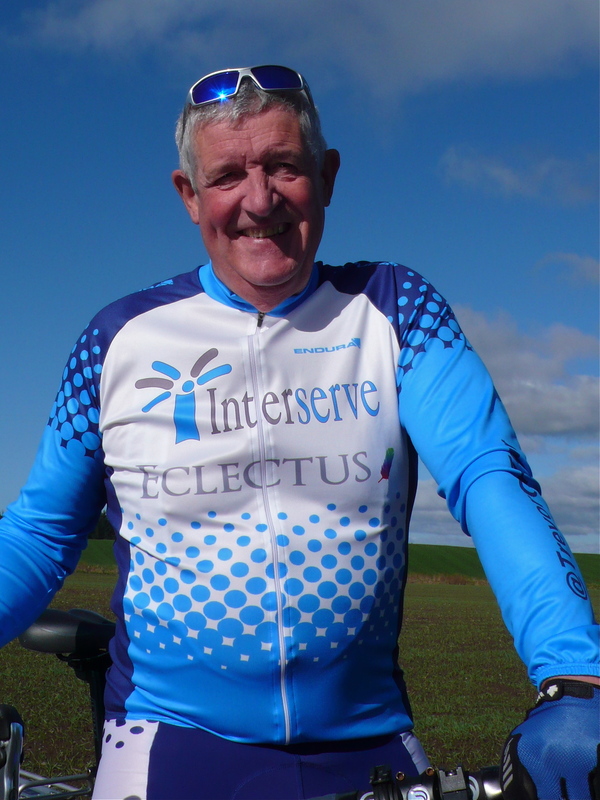 The challenge being – can I get on my bike at all! Woke up this morning, after a rather chilly night, with every muscle in my body aching. Bry, on the other hand (old hand) is like a spring chicken! 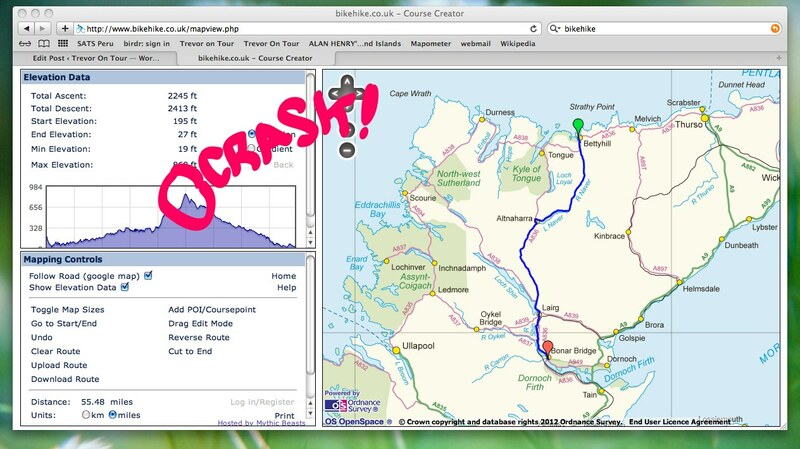 Today’s ride is only slightly further than yesterday’s, at 89ks, but with less climbing, so should be straight forward. All I need is for my body to start working again! Tweets on route, signal permitting. After much anticipation, planning and sheer hard work, today we finally started! We woke to glorious sunshine and a hearty breakfast. Packed our kit and pedalled down the hill to the harbour. The view across to the Orkney islands was stunning, an experience enhanced by the presence of a Tistie (Black Guillemot) just off shore, getting the bird list off to a flying start! We retraced the final few miles of yesterdays ride before breaking new ground on the NCN (National Cycle Network) 1, which took us first to Castleton and it’s magnificent bay, then on to Thurso – for a coffee stop at Tesco and onward, through Melvich and some increasingly hilly countryside to tonights destination, the Farr Bay Inn at Bettyhill. 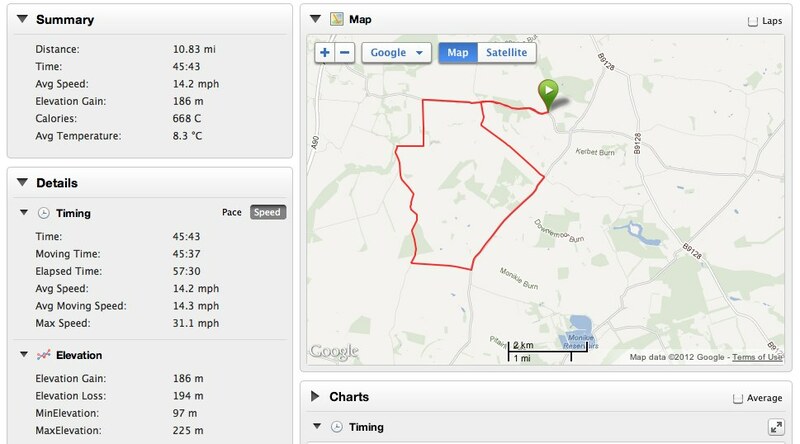 The stats for todays ride speak for themselves, as do my swollen calves! Insult added to injury (literally) by a hike around the local bay and surrounding area after we’d settled in and freshened up. But in truth the locality is gorgeous. 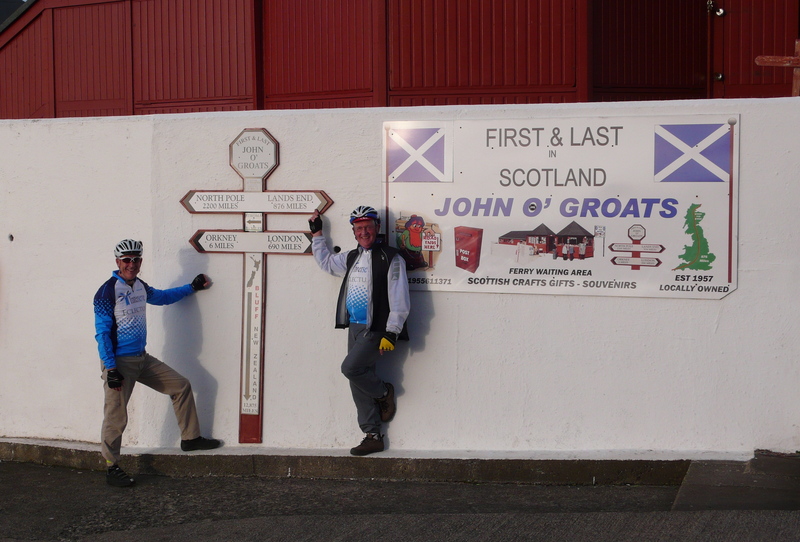 John O’Groats – the start of our adventure. Delightful Castleton Bay – three species of Diver, Great Northern, Black-throated & Red-throated and a raft of Long-tailed Duck – not bad for a starter! 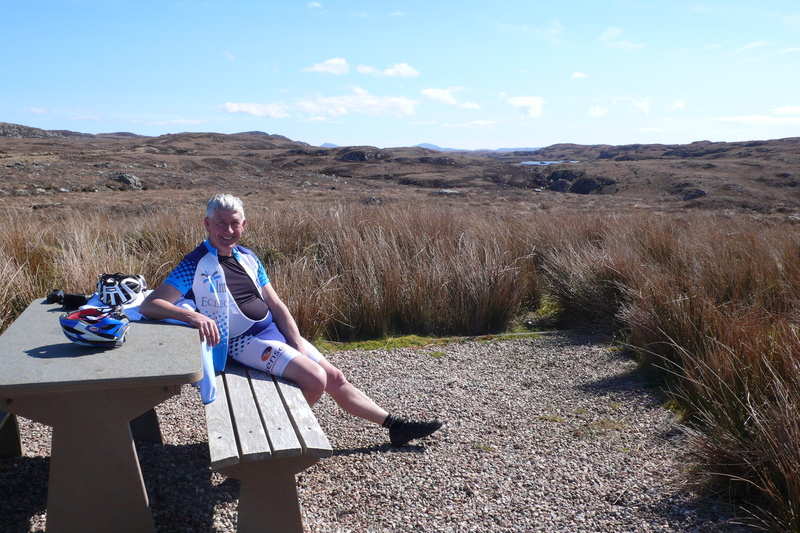 Enjoying a well-deserved breather at the Bettyhill view-point. 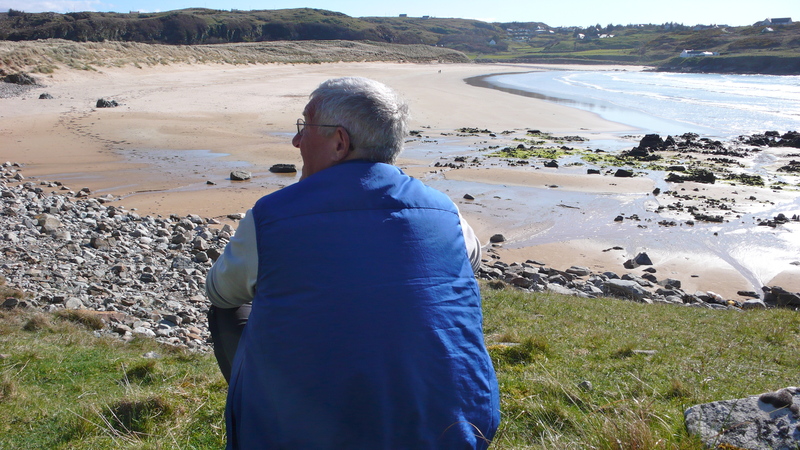 Bry taking in the view of Farr Bay after a hard day in the saddle. For the birders amongst you, total number of species today – 48, highlights of which were: Black Guillemot, a skein of Pink-footed Geese heading out to sea, three Lesser Redpoll, three species of Diver in Castleton Bay and a Sand Martin at Bettyhill. 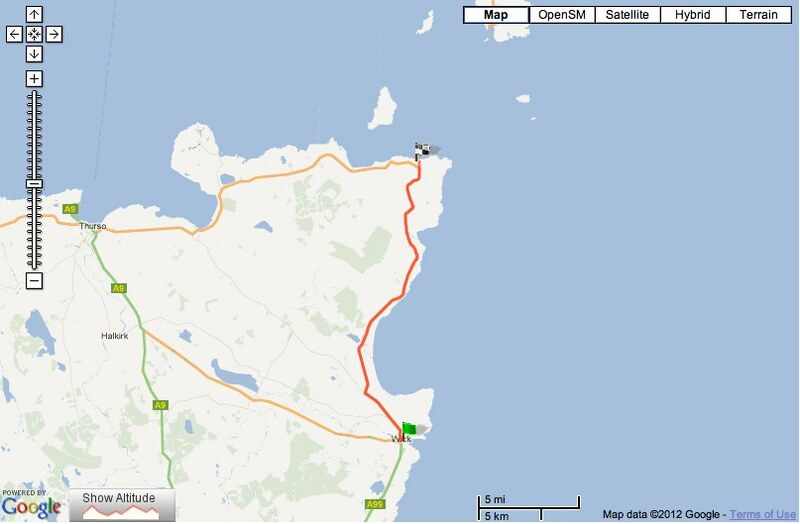 Details of tomorrows route on our breakfast blog. After three fascinating hours on Inverness station -the only distraction being a rather cheeky Herring Gull, we caught the two o’clock to Wick. On route we decided to leave the train early and cycle in from the west. This turned out to be slightly further than anticipated, 25 miles to be precise, but a great ride nonetheless. We got to John O’Groats in the evening sunshine, checked into the SeaView Hotel and managed to grab the ‘last sitting’ for supper. 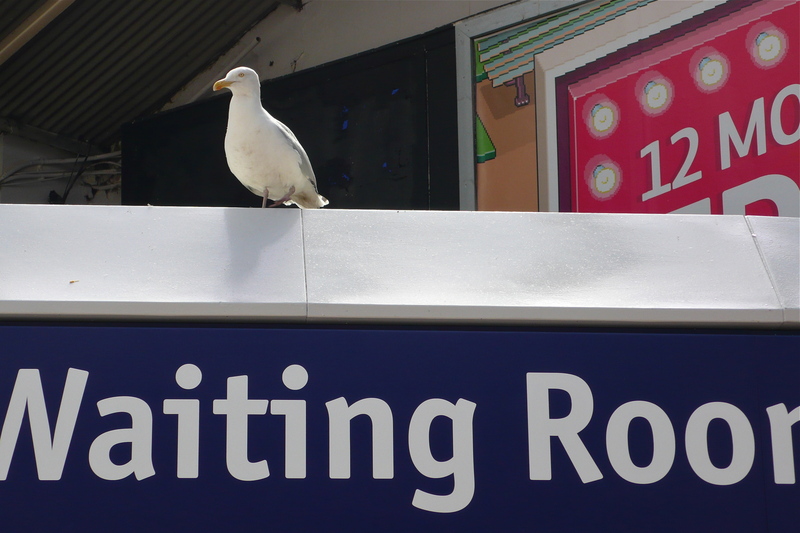 The long wait….fifty things to do on Inverness station. …and we’ve arrived. But only at the start…! For the birders amongst you a few highlights from today, non of which count to the End 2 End trip total, included 2 Osprey, Peregrine, several Buzzard, 3 Short-eared Owl, Dipper, 2 Wheatear, Stonechat, 4 Greenshank, several Swallows, Willow Warbler, Eider and a flock of Whooper Swans. Not bad for a ‘doesn’t count’ day! Day Zero – more like Ground Zero! 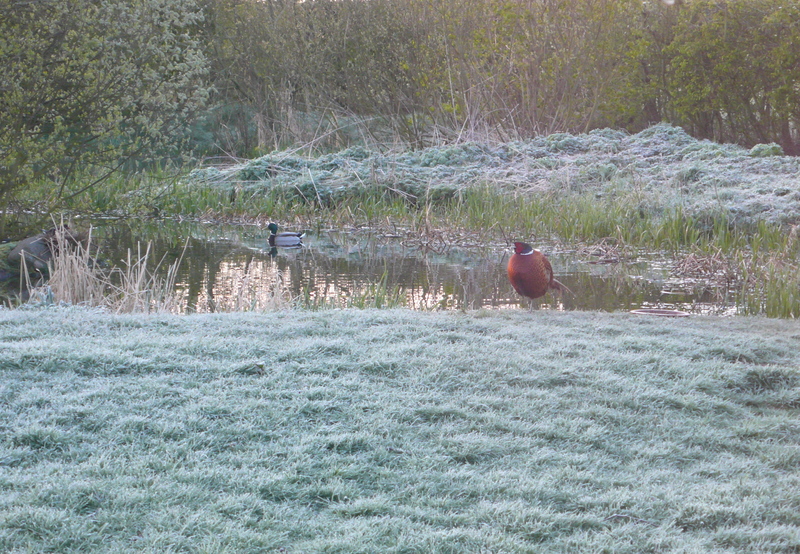 Woke at 5.50 to a hard frost at ‘base camp’. 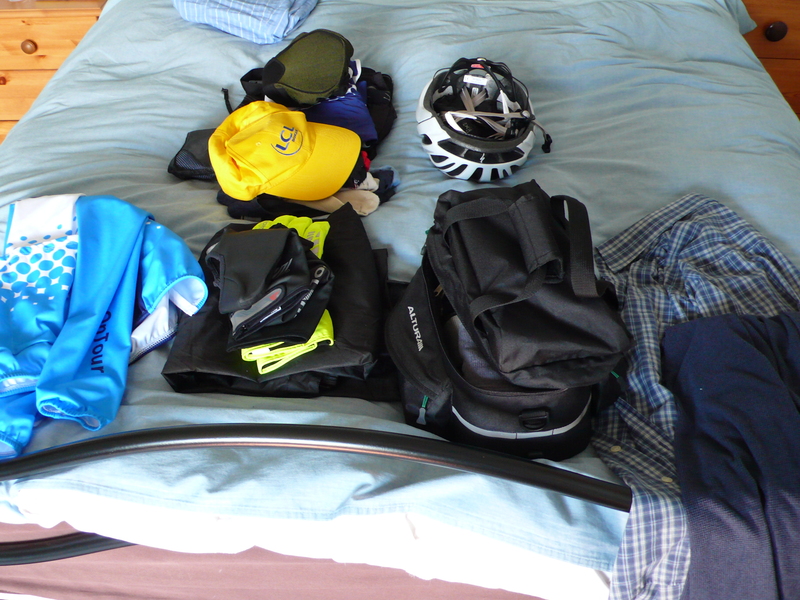 Breakfast, load the kit and away to Perth station. Roads were icy – several car accidents along the route, so Bry takes it easy. Arrived at the station with a few minutes to spare. 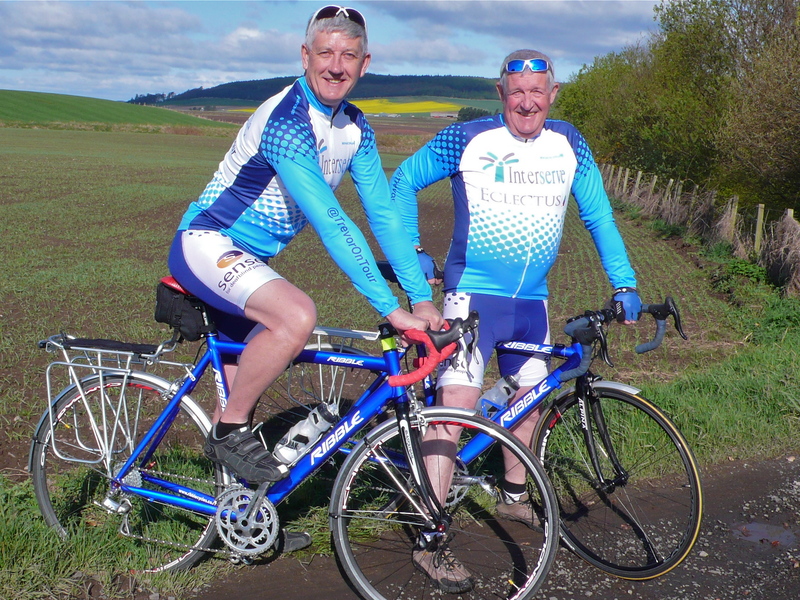 Feeling good, waiting to load the bikes on the train when I notice the destination board says “train terminates at Aviemore’ – not Inverness! Turns out that there’s been a landslide and it’s a bus service from Aviemore to Inverness, with no guarantee that they’ll take the bikes. 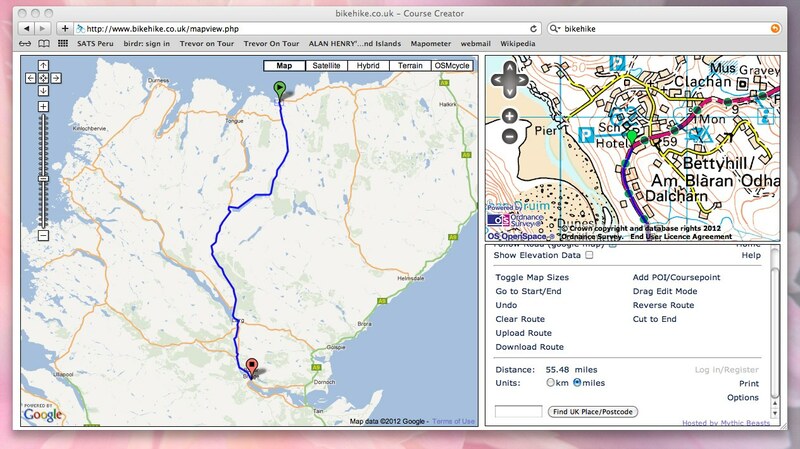 As we only had a ten minute transfer window at Inverness to get the Wick train, things begin to look bleak…! As the train pulls into the station we decide that, in the absence of a “plan B’, we’d better get on it and take our chances. 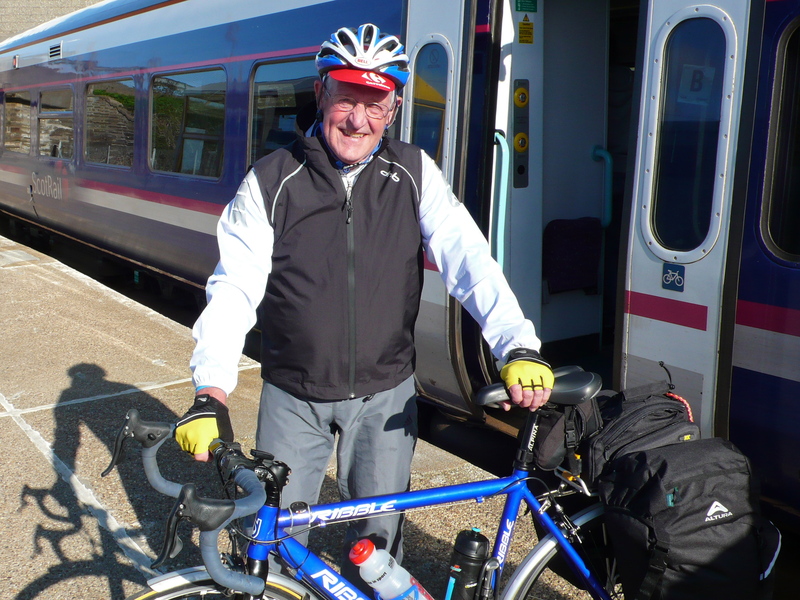 Managed to persuade the bus driver to stow the bikes in the luggage hold and we finally arrive at Inverness ten minutes after the Wick train has departed. We now have a three hour wait for the next one and the prospect of a twilight pedal to John O’Groats and no evening meal. 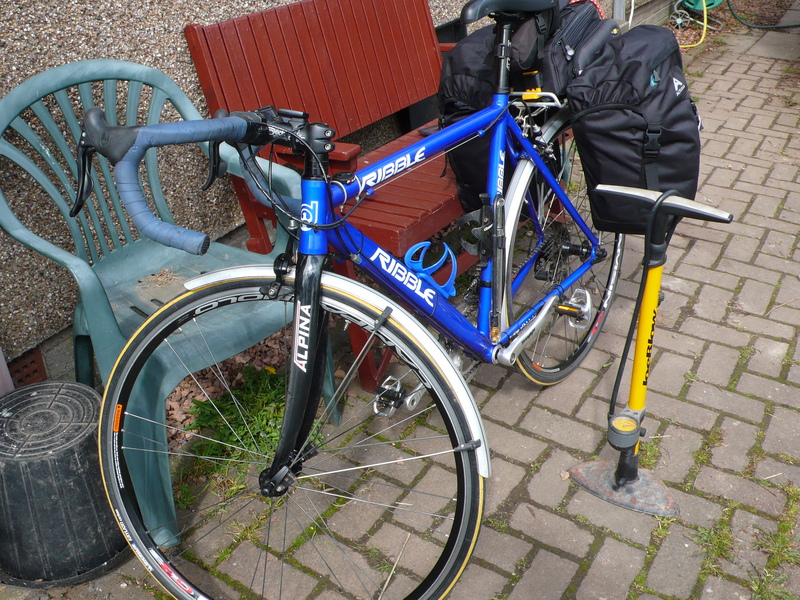 Things can only get better…..
Bry’s bike, ready to load..
Pheasant in the frost at ‘base camp’. What have they got to look so cheerful about? Spent the day checking and re-checking the kit – that’s Bryan for you, and reviewing the route to make sure we keep on the right road and are prepared for any of those nasty hills! Bryan’s kit, at the final stage of assembly! …and mine. 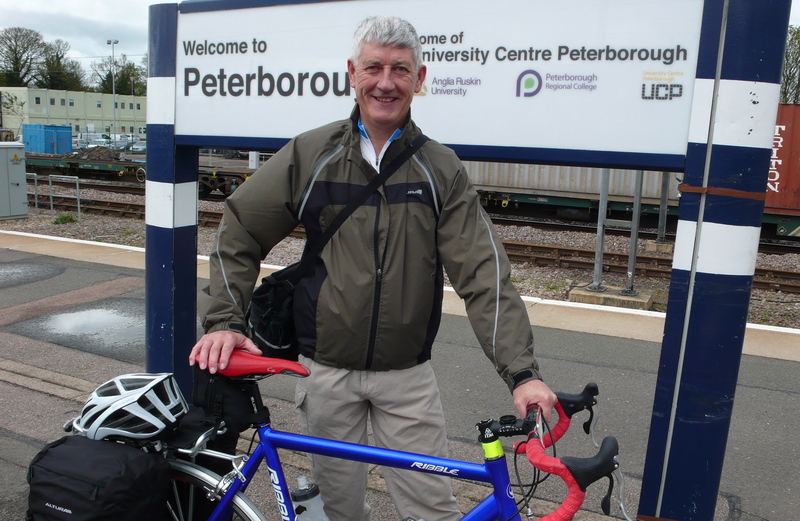 I always was a tidy little packer – I put it down to my police training! 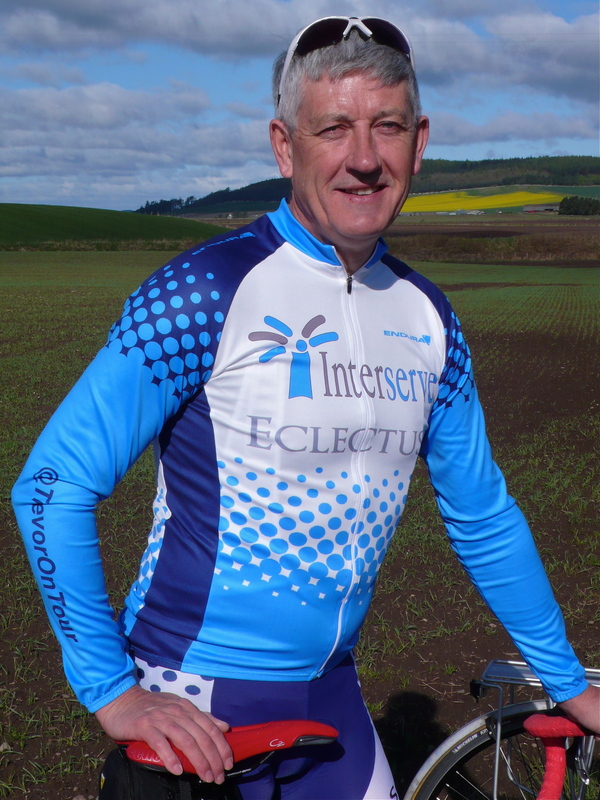 Managed to get out for a brief ride after lunch – a 17.5k circuit from ‘base camp’, including the locally notorious Carrot Hill – it rained or hailed most of the way! 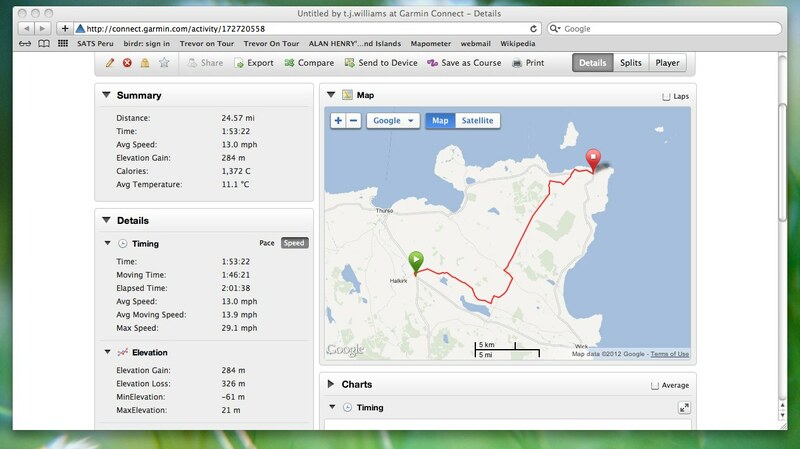 An example of the stats we hope to produce for each days ride it given below…we’re working on the ‘technicals’! Tomorrows ‘Day Zero’ adventures begin with an early morning drive to Perth station to catch the 08.04, which eventually gets us to Wick seven hours later! 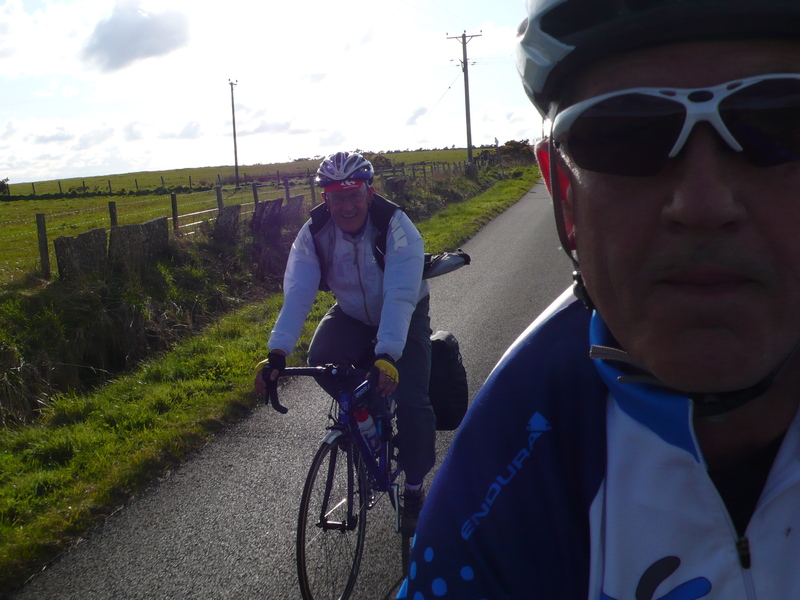 We’ve then got a steady ride to John O’Groats, a distance of 18 miles. We should be able to manage that at least. 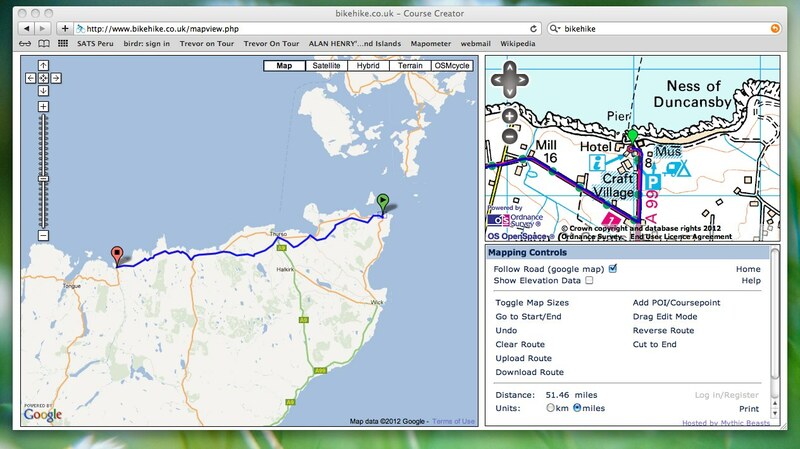 More blogging tomorrow – assuming we make it to John O”Groats that is! Day zero, minus 2 – so far so good. 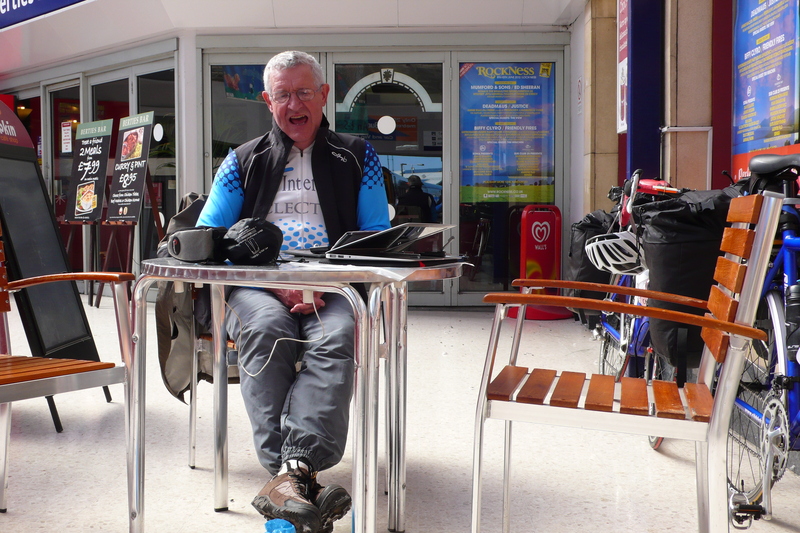 A gentle ride to Peterborough, despite the gusting southerly wind. 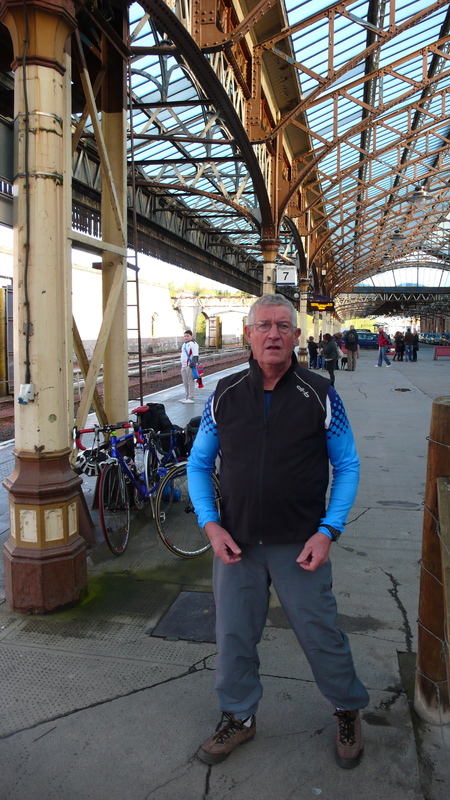 Managed to negotiate the ‘travel with a bike’ requirements of East Coast rail and to effect a near perfect change at Darlington – sprinting the entire length of the platform, because the guards vans were at opposite ends of the respective trains! 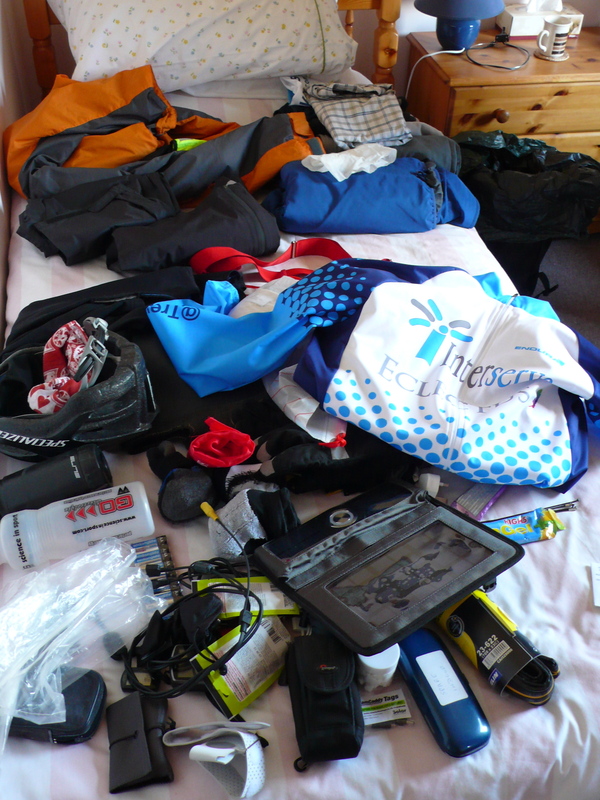 All the kit has been safely stowed into two panniers, a rack pack and a saddle bag….and I thought we were travelling light! Bryan, up at Scottish base camp, assures me he’s in the process of assembling his kit, prior to packing it, and will be at Arbroath to meet me. 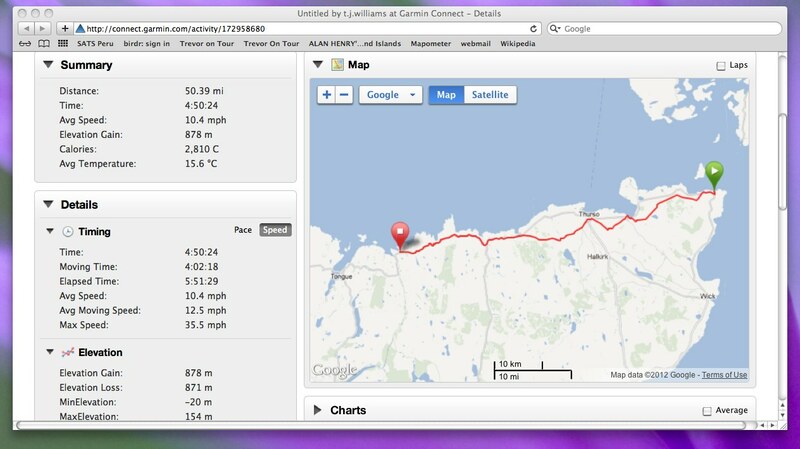 Our original plan being to cycle back to ‘base’ but the weather being as it is, it’s more likely to be the car. If only those arrangements were possible once we get under way! It’s very pleasing to report that we are close to achieving 15% of our sponsorship target and that there is a steady trickle of DoNation pledges coming in, prior to our departure. A big thank you to all those who have donated or pledged so far – please do spread the word! 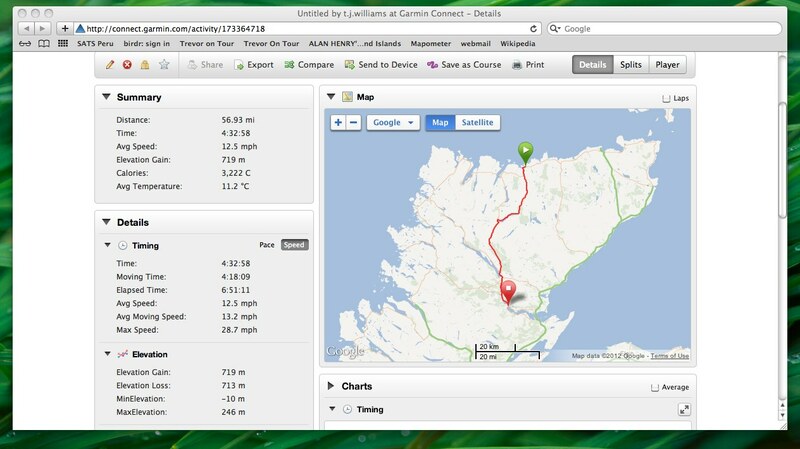 Over the next couple of days we’ll be hopefully refining the technology to bring you details of each days route and the stats for the individual rides. We’ll also be illustrating the ‘highs’ and ‘lows’ ( and the bits in between!) as they happen. And to test the theory….